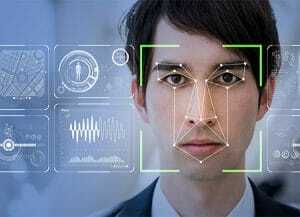 Back in July (2018), Congress sent a letter to CEO Jeff Bezos regarding Amazon Rekognition, their facial recognition technology. Included in the signatures were a bipartisan group of 25 Congressmen. At issue: Amazon marketed the pilot programs to law enforcement, including Immigration and Customs Enforcement (ICE), with raw video collected of crowds and transferred to Amazon servers for analysis. However, there is a lack of any hands-on training for law enforcement, which legislators viewed as a red flag. Legislators say that the Rekognition pilot programs lack important policy guidelines. One of their more significant concerns about the technology is accuracy. The July letter was written after the ACLU tested the software. The organization scanned the faces of 535 members of Congress against 25,000 publicly available mugshots. Results were not accurate and generated 28 false matches. The concerns were specifically for any “disproportionate burdens on communities of color,” and the impact on First Amendment rights in public. Results of internal accuracy or bias assessments with details of how this information is verified. What protections are built in to protect privacy rights of innocent Americans? Does Amazon audit government use of the technology to prevent any abuse in terms of “secretive government surveillance” or other potential civil rights violations? The November letter requested a response by today – December 13.